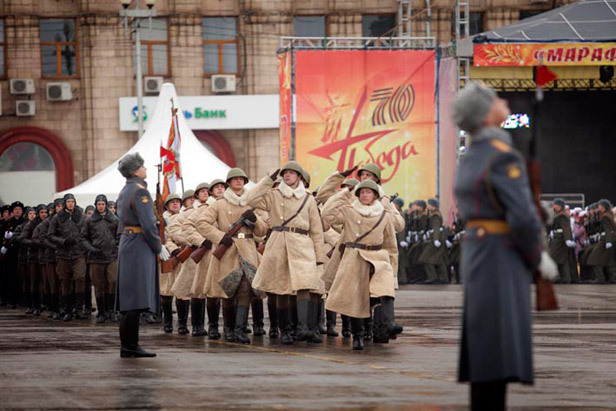 Russia commemorated the epic battle of Stalingrad with a military parade and fireworks. The city known now as Volgograd, 560 miles (900 km) south of Moscow, suffered six months of intensive fighting, as German troops tried to reach oil fields in Caucasus region. Attending the festivities were Russian President Vladimir Putin, representatives of Russia's government, foreign embassies officials and twenty thousands of locals. The 200-day battle in the city on the Volga River eventually led to the Nazi troops' surrender. The battle marked Hitler's first big defeat and led to the Wehrmacht retreat from Soviet territory. At least 1.2 million people are estimated to have died on both sides before the fighting ended on Feb. 2, 1943.